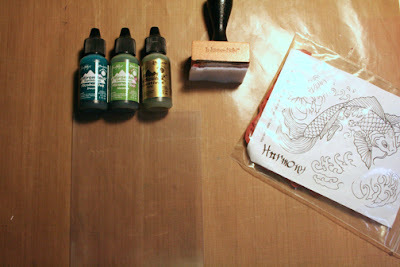 Ramblings of an Impatient Artist: Tutorial Time! 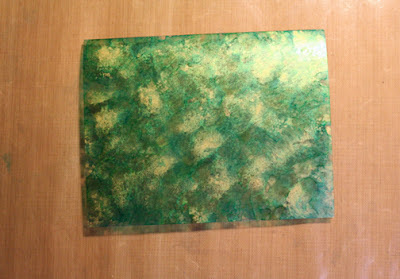 In keeping with Ms. June's "Be Clear" theme for this month, I have a quick, cool little tutorial to share with you today using alcohol inks and acrylic. Adirondack Alcohol Inks, Adirondack Metallic Additive, blending tool with felt pad, a piece of clear acrylic or an acrylic card, the stamp of your choice and a craft sheet wouldn't hurt - especially if you're messy like I am. And of course pick out a Bombshell stamp set! I used Koi Tattoo. 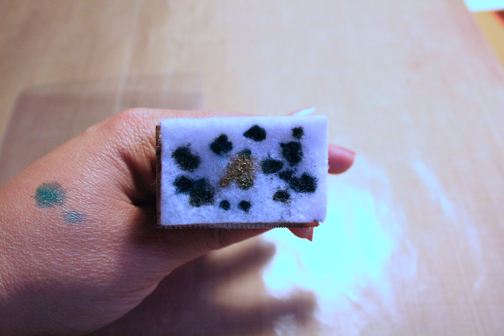 First, shake up the additive well and put some of that in the center of the pad, then add the other colors you'd like to use - on the same pad. 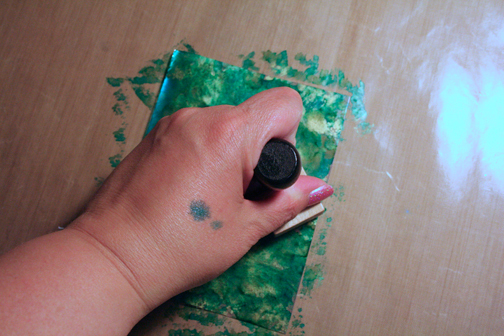 Next, take the blending tool and sort of "stamp" it all over the acrylic sheet, covering it completely. Move it around in different directions and don't worry if you go over parts several times. Let it dry, which won't take long and if you like, you can go over it again to touch up or make it darker. 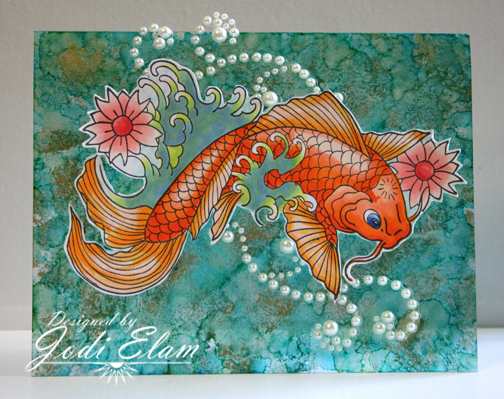 Stamp and color up your image and add it to the acrylic card. You can use pop-dots, and I've not had any trouble using my Tombow adhesive. If you want to stamp a sentiment, I'd use Stayz On. You can also add a piece of cardstock to the inside to write on. Tadda! Simple and not too messy. (Like that would stop me!) Hope you enjoyed and will give it a try yourself!